Early into an omakase meal, a bowl of simmered sardines arrives with a stalk of flash-fried koshihikari rice, its nuttiness helping to mellow the brine. Many courses later the sensational tamago—its dark exterior artfully contrasting with the yolky interior—is like the ultimate canelé. Clad in a kaleidoscope of bamboo panels, the restaurant hails from Tokyo (as does the Tsujita ramen spot nearby) and specializes in edomae-style sushi, which dates from the 19th century. Expect restraint, a touch of ceremoniousness, and masterful precision, down to the temperature of the flesh (fish from the tuna family are served colder than, say, hata, or kelp grouper). But they do make a few non-edomae allowances. “Sure, we’ll do sashimi,” the waitress says, then reminds you to squeeze the Sudachi lime into the teapot filled with matsutake broth. The Vibe: Bamboo-lined Zen, but they won’t frown if you bust out your phone to snap a pic. 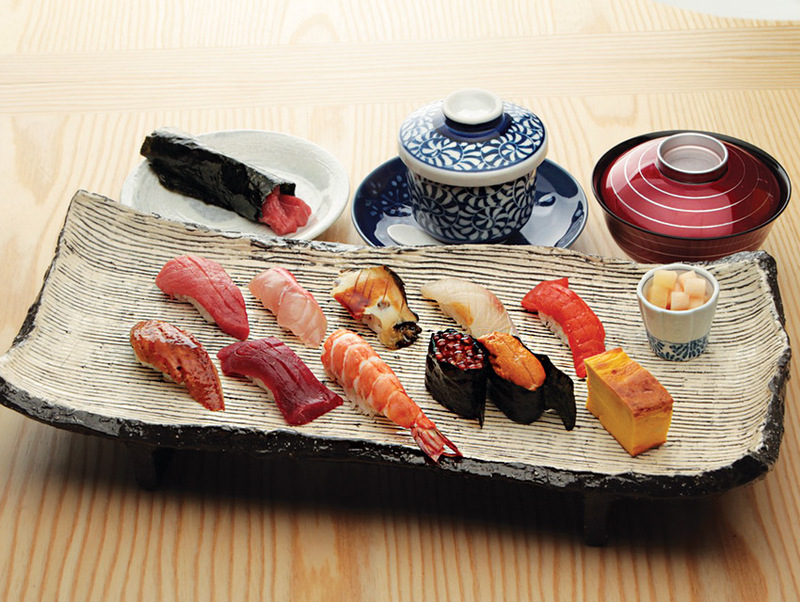 The Must-Have Dishes: There’s only one way to go, here, and it’s omakase, so—y’know—you get what you get. You won’t be disappointed. The Drinks: Sake, beer, tea—the usual. Getting a Table: Book it to the sushi bar—tables are for suckers. The place is small, but the price tag is big, which keeps the restaurant from getting booked up often. 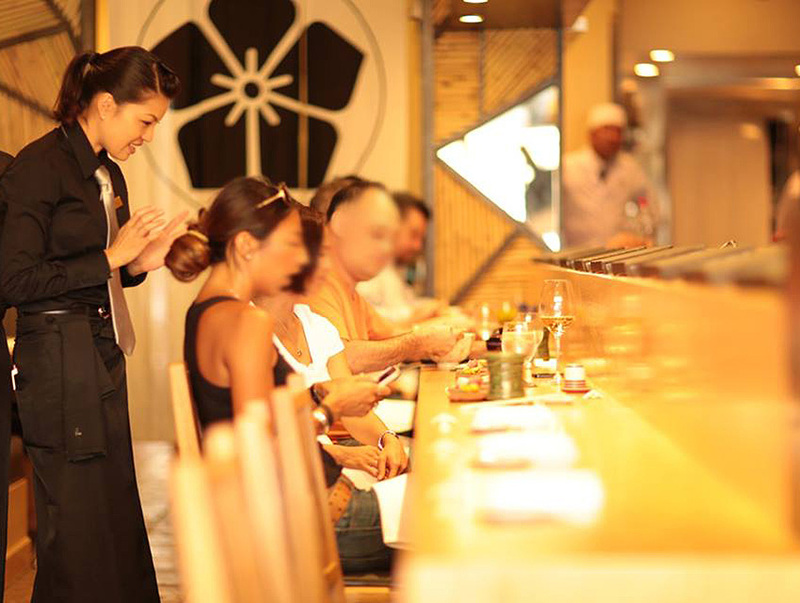 Insider Tip: Trust the chef—no spicy tuna rolls here but your openness will be rewarded.